Among postmenopausal women with osteoporosis at risk of fracture, daily injection of the drug abaloparatide for 18 months significantly reduced the risk of new vertebral and nonvertebral fractures compared with placebo, according to a study appearing in the August 16 issue of JAMA. Osteoporosis is associated with substantial social, economic, and public health burdens. Based on 2010 U.S. Census data, a study estimated the prevalence of osteoporosis among women 50 to 69 years of age at 3.4 million. It has been estimated that the lifetime risk of osteoporotic fracture for a 60-year-old woman is 44 percent. Additional therapies are needed for prevention of osteoporotic fractures. As a result of its mechanism of action, it has been hypothesized that the drug abaloparatide, a synthetic peptide, would have a more pronounced anabolic (i.e., bone growing) action on bone compared with the osteoporosis drug teriparatide. Paul D. Miller, M.D., of the Colorado Center for Bone Research, Lakewood, Colo., and colleagues randomly assigned postmenopausal women with osteoporosis to receive daily injections for 18 months of placebo (n = 821); abaloparatide (n = 824); or teriparatide (n = 818). The trial was conducted at 28 sites in 10 countries. Among 2,463 women (average age, 69 years), 1,901 completed the study. New vertebral fractures occurred less frequently in the active treatment groups vs placebo: in 0.58 percent (n = 4) of participants in the abaloparatide group; in 0.84 percent (n = 6) of participants in the teriparatide group; and in 4.22 percent (n = 30) of those in the placebo group. The estimated event rate for nonvertebral fracture was lower with abaloparatide vs placebo: 2.7 percent in the abaloparatide group; 3.3 percent in the teriparatide group; and 4.7 percent in the placebo group. Bone mineral density (BMD) increases were greater with abaloparatide than placebo. Incidence of hypercalcemia (the presence of abnormally high levels of calcium in the blood) was lower with abaloparatide (3.4 percent) vs teriparatide (6.4 percent). Overall, there were no differences in serious adverse events between the treatment groups. 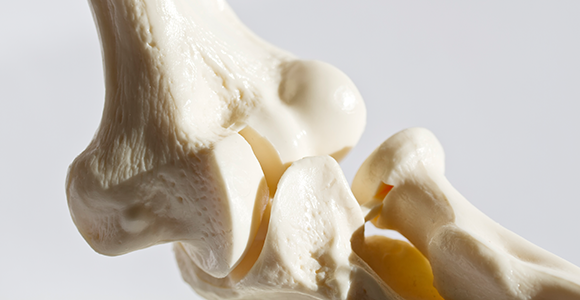 “Further research is needed to understand the clinical importance of risk difference, the risks and benefits of abaloparatide treatment, and the efficacy of abaloparatide vs other osteoporosis treatments,” the authors write. “Ultimately, which therapy is selected for osteoporosis treatment may be less important than identifying and initiating an approved treatment,” write Anne R. Cappola, M.D., Sc.M., of the Perelman School of Medicine at the University of Pennsylvania, Philadelphia, and Associate Editor, JAMA, and Dolores M. Shoback, M.D., of the University of California, San Francisco, in an accompanying editorial.